I am speaking on behalf of over 350 Conservatives of the Upstate tonight. We have not heard whether or not the Property Rights Resolution we sent to this council 2 months ago to consider signing is being taken seriously. Sustainable Development which Ten at the Top and Upstate Forever keep promoting is not about protecting property rights. And it is not really about creating livable communities. These non-governmental agencies many here applaud and put up on a pedestal are about government control to change our Constitutional protection to property to fit their political agenda. Anyone with eyes can plainly see that as private property comes under attack through Sustainable Development via these NGO's that our country is also becoming less wealthy and less free! It’s time that we had a government that treats property owners like OWNERS – not slaves to be pushed around at the planner’s whim. It’s time to treat property owners with respect and honor our inalienable rights God gave us. Does your decision increase the Size, Cost, Reach And Power of Government? If so, SCRAP it. 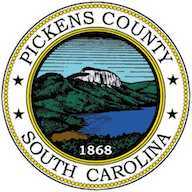 Make sure, first and foremost, that you are protecting the private property rights of Pickens County taxpayers and their tax money. This is the most effective action this body can take to stop Agenda 21 and reign in run away government. Please sign the Protection of Property Property Rights resolution. Secondly, We have asked repeatedly the question about what happens to the protested taxes being placed into the delinquent taxes which skews the figures to your advantage when the formula is applied by the auditor. Your lawyer admitted to us in our meeting that this is not supposed to be happening and told us he would check on that. But yet NO ONE is answering our questioning of that procedure. Has this indeed been stopped or will that continue? We want to know. And finally please stop over collecting our taxes and saying you haven't raised taxes in over 10 years. You have raised them by over collecting incrementally for decades and now you are claiming it is constitutional because it is a reasonable amount set aside for emergencies....What if I went to my boss and said, by the way, I want to over collect on my salary anywhere between 3% and 5% just in case I have an emergency in my budget... that's just wrong...no employer would allow that! All of us here have to balance our budget...we don't get to over collect from our employer. YOU have to budget for emergencies...we the people shouldn't be denied the right of saving that over collected amount in our own savings accounts. And just because it's always been done this way doesn't mean it's right! Or just because the adjacent county to us does it doesn't make it right! Please stop over collecting our money!